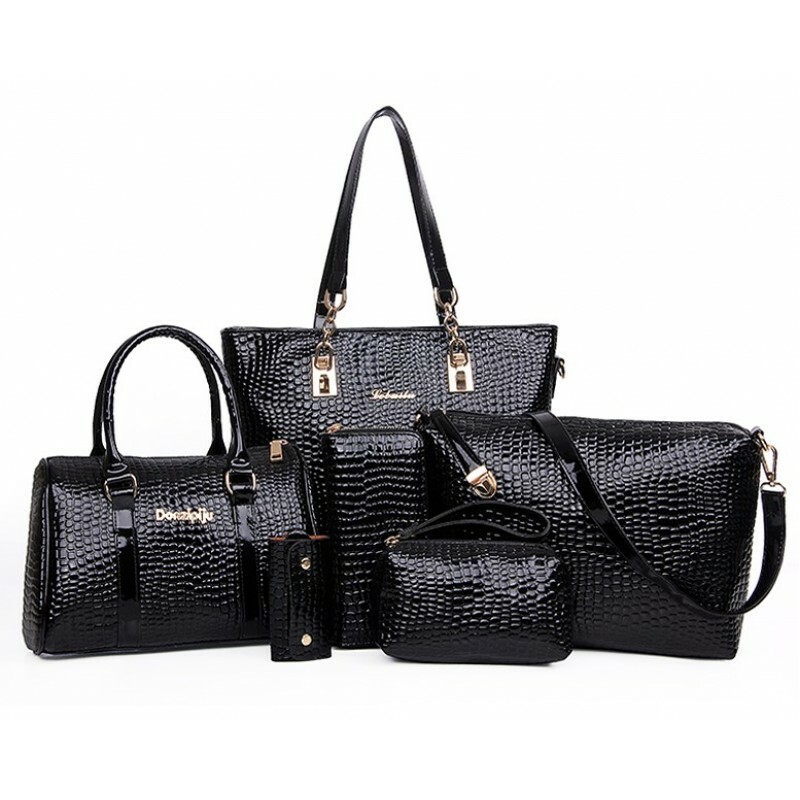 This BLACK color Six piece Crocodile pattern set of women's stylish hand bags consisting different sizes from small to the large one i.e for all occasions according to need and style. Every size has its own purpose so don't think that you have to carry all these bags at once this is for your style only. BLACK color is always almost everybody's choice. This solid bucket shape European and American fashi.. 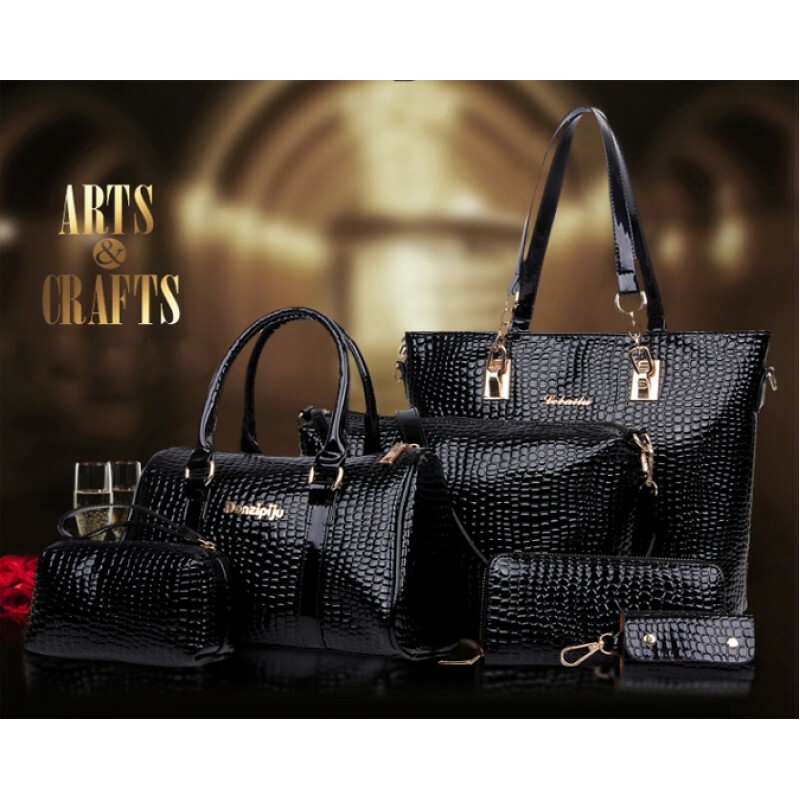 This BLUE color Six piece Crocodile pattern set of women's stylish hand bags consisting different si.. This GREY color solid pattern square shape European style women's shoulder handbag, produced wi.. This PURPLE color solid pattern pillow shape European style women's shoulder handbag produced Soft M.. This BLACK color Fashionable V small square shape European and American fashion women's handbag, mad..
BLUE color is always loved by girls. This BLUE beautiful bag is matching with your BLUE dress which ..